The Labour Ministry and the International Labour Organisation are working together to increase the technical abilities of members of the Labour Advisory Committee who are tasked with monitoring and evaluating the status of the Kingdom’s minimum wage. 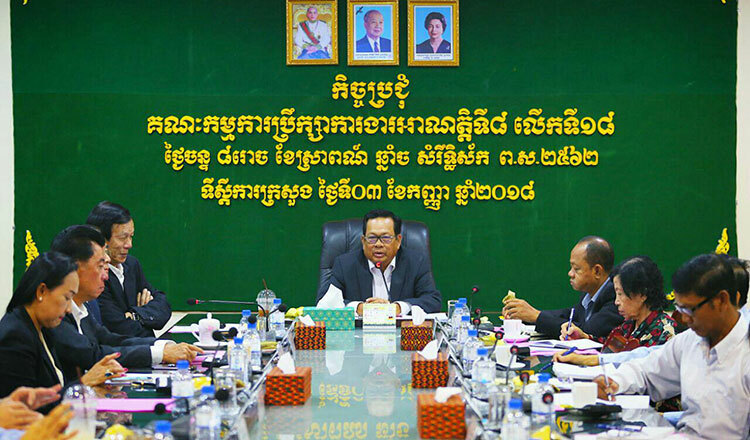 Labour Ministry spokesman Heng Sour yesterday said during a workshop on Minimum Wage Monitoring in Cambodia that the government has followed and implemented minimum wage principles based on evidence. He added in order to support the monitoring mechanism, the Labour Ministry has established regulations. Graeme Buckley, ILO director for Indochina, yesterday said the job of the organisation is to “protect workers against unduly low pay”. He added that recent studies have shown that a minimum wage proportional to a country’s economy can contribute to a higher level of labour productivity. Last month, a tripartite commission consisting of government officials, union leaders and employers determined that $182 will be the new minimum wage for workers in the textile industry next year. The minimum wage is $170 per month this year. (5) The economic activity driven by a vacancy tax broadens the bases of other taxes, allowing their rates to be reduced, so that the rest of us get lower taxes! Please mail me the news as they are helpful to me. Khmer Time post current and useful news.